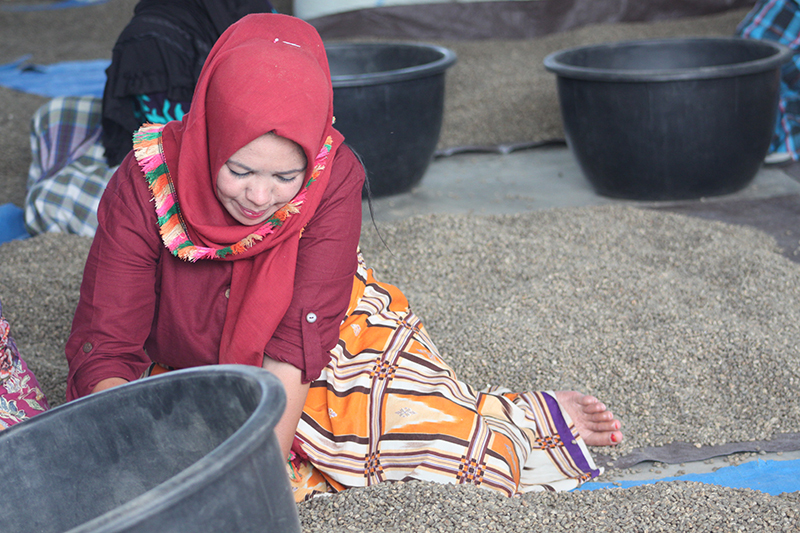 There is yet to be acceptable evidence for this origin of coffee in Aceh, but to Gayonese, they have long known to treat their coffee beans like a Putri (Princess). Gayonese have grown coffee beans for nearly 400 years and coffee remains to be the treasured commodity that sustains their life. Unlike many farmers that have multiple commodities to sell throughout the year, Gayo only has coffee. 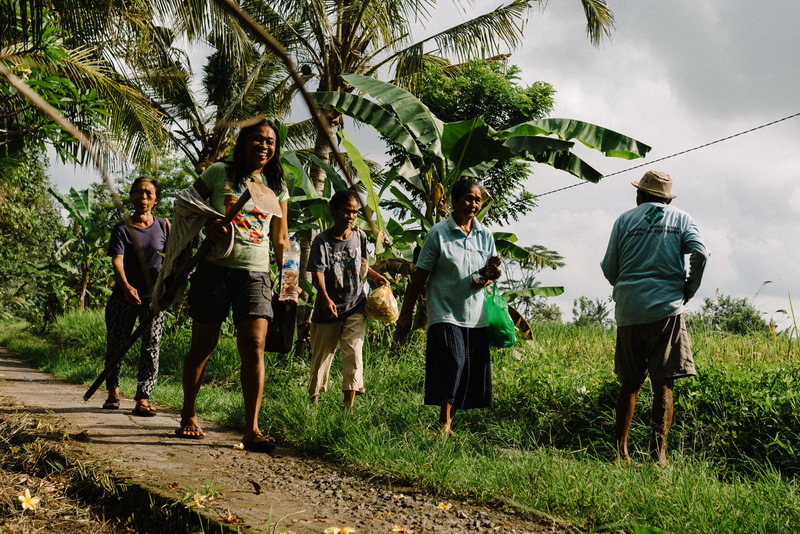 A big majority of Gayonese are coffee farmers, processors, and sellers. A drop in coffee sales means their domestic lives are greatly impacted. Coffee beans are such a stronghold that they give it an endearing nickname, Siti Kewe (Siti is a popular name for females and Kewe is taken from kahwa, which means coffee). To them, coffee is Putri, a precious child that gives them future, prosperity and longevity. 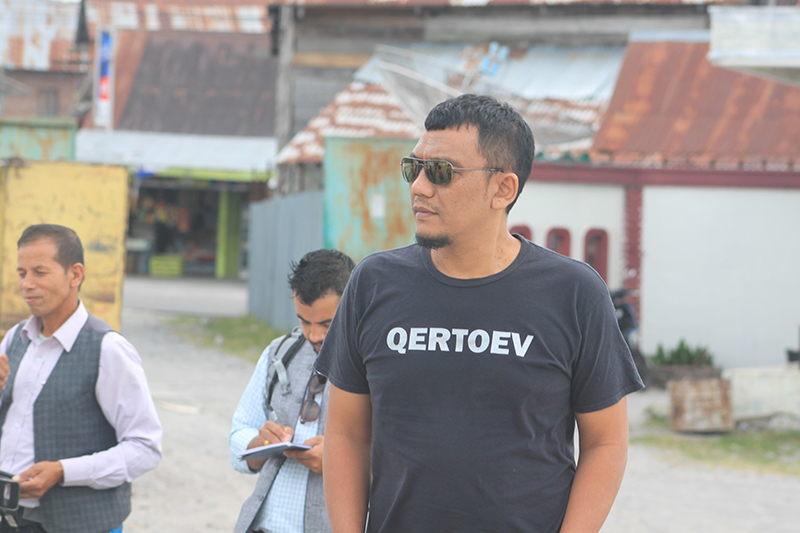 In this small village that is the heart of Aceh, coffee plants line up so tightly and as a thank you, every step of their farming process is imbued with ceremonial feelings. Gayonese will carefully pick the coffee cherries, “uniformly from left to right,” according to Win, as if it’s a living entity. Coffee is a fruit. But its small size means we don’t always see it when it’s turning rotten. So mothers always pick them carefully not to damage the fruit. In fact, my grandparents said they would ask permission when picking a coffee cherry, as if it’s a virgin. And when you turn it to pick it – you turn it in one direction—to the right. They do it so carefully. Any scientists can argue these practices are true even without being adorned with poetries and mantras. But to Gayonese, these rituals are like songs that latch to the memories so vividly – they are easy to remember, and thus, easy to do and replicate. Rituals become an everyday language that is transformative to the entire process and make their tireless effort fruitful in the long term. The fact that Gayo is overflowing with coffee, Win assumes, is likely due to this motherly patience and attention over the years. “It takes 7 years until the first fruits bloom. It’s not exactly a good business plan to wait for 7 years.” Not to mention is the daily work which includes weeding out and maintaining the garden—the kind of works that, when taken incorrectly, coffee fruits will refuse to grow. It’s not surprising that mothers, then, hold a central role from planting to harvesting. 70% of the people who work there are women, while men do the selling and heavy lifting. Growing and caring for coffee plants, especially Arabica, is a meticulous work. And the ceremonies is the language that gives scientific practice a poetic spirit that Gayonese can understand. 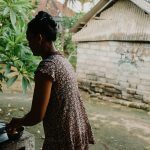 This has become a long-standing tradition for centuries, and without stories that are passed down from one generation to the next, we might not find Gayo as it is today. MICHELLE ANINDYA finds way more time daydreaming, than writing. She loves thinking about anything from astronomy to coffee – yes quite a distance!